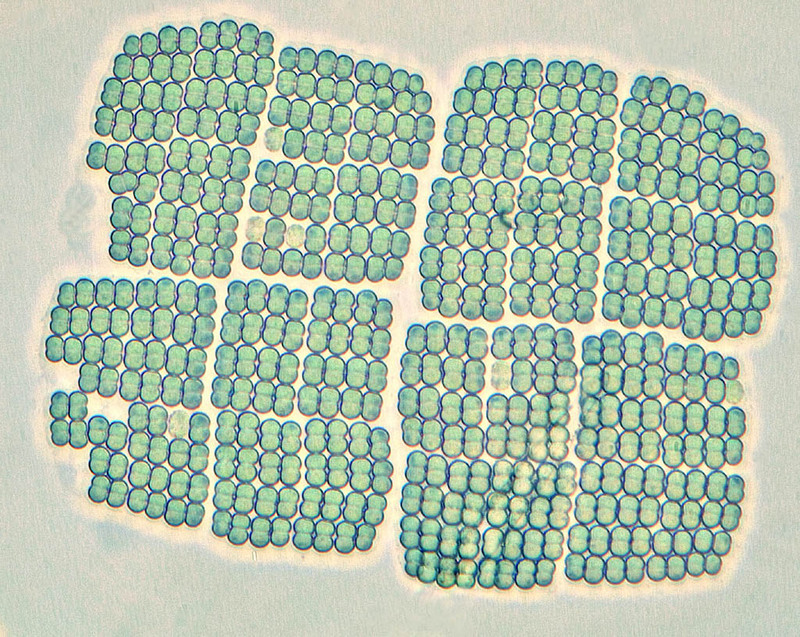 Cyano's are or can be beautiful bacteria at times. I have never seen this one personally in time spent at the TLM but their is always the chance that I will. When ever I see something like this, even though non-filamentous, it brings to mind the subject of endosymbiosis or endosymbiotic theory. Beautiful photo.